if you have any issue uploading image or have issue with uploaded image, then download our super image and use it to test your client PC boot. This is quick and fast way to test all clients boot. Important: If you experience client PC hang after booting to desktop then please enable superclient and boot the client once and let it install detected driver. Note: If the NIC is not showing up in the network sharing center after client boots, then enable client in super client mode and boot it fully to desktop and then restart once. After restart the client will show the NIC on the network sharing center. The freezing occurs when its trying to install drivers for your clients this doing a quick superclient will fix this issue. Note: If you encounter, that client doesnot have internet then, super client the image and change the default gateway in the image to match your router IP address. 1. Click the link for the image you want to download and wait for the download to complete. 2. Right click the downloaded file and extract it (Figure 1). 3. 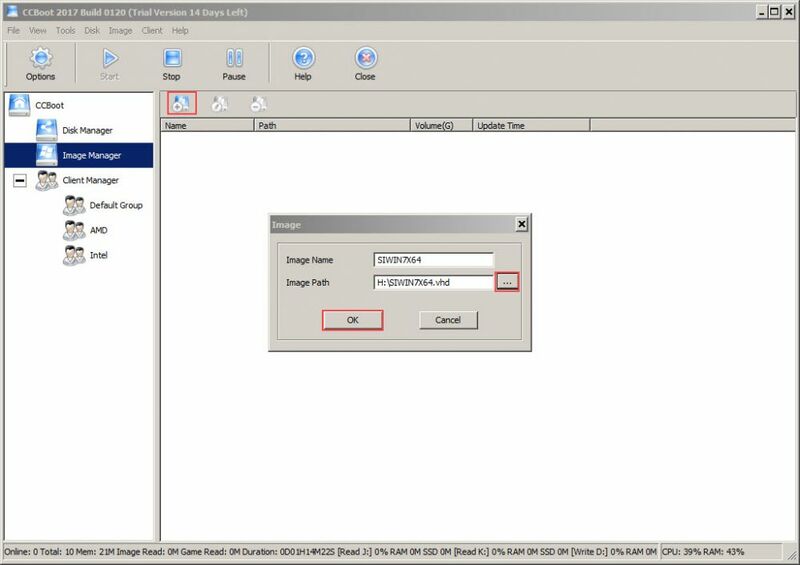 You will get a virtual hard disk file (vhd) file, more the file to your image disk (Figure 2). 5. Now the image is added to the Image Manager, you can not assign it to your clients and boot (Figure 4). 6. Now, boot your client PCs and see if they have any issue booting. Refer Client Diskless Boot Failed to troubleshoot the boot issue. 7. If client PC still has any issue booting, then contact us at http://help.youngzsoft.com to get support or send remote request using CCBoot Remote Me function.